Today starts the second of my planned two week boondock on the BLM's Long Term Visitor Area (LTVA) south of Quartzsite. The RV show started last Saturday and runs to this coming Saturday. 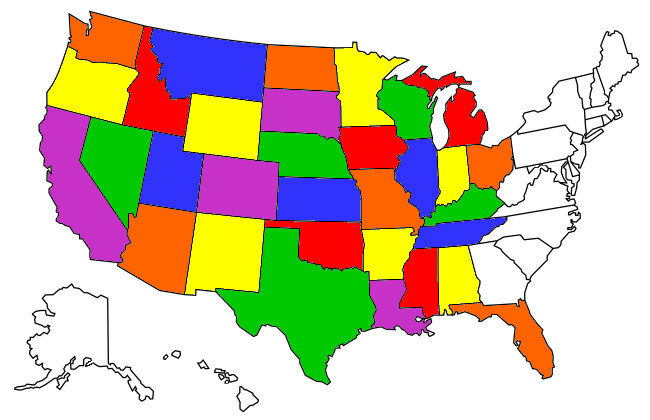 There's already been a noticeable reduction in RV density since just before the show. 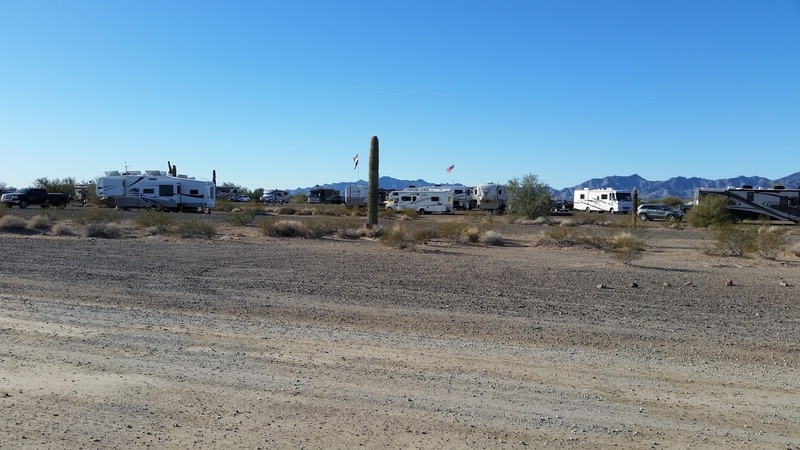 Packed RV's on the LTVA south of Quartzsite. 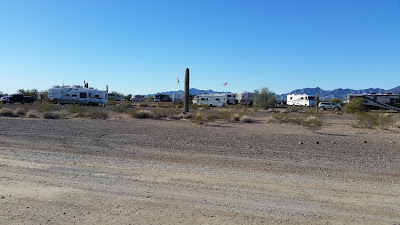 The typical camper here buys a two week stay from the BLM ranger office for $40 and it appears many of them come in a week to 10 days prior to the show and then leave just after the first couple days of the show when their two weeks is up. If you ever decide to camp in the LTVA during the show make sure you stay on the west side of Old Yuma Road which cuts the BLM land north to south. Old Yuma Road is a dirt road that runs up to the show area and thus is extremely heavily traveled during the show's nine days. 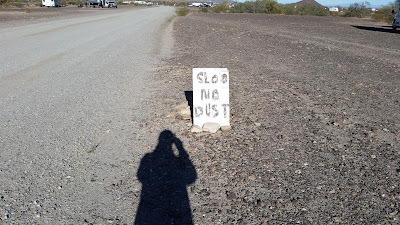 Dusty is not an adequate describer of Old Yuma Road but since the prevailing winds are out of the west or northwest, if you are camped one the west side of the road you avoid most, but not quite all the dust thrown up by atv's. Dust on the truck even though I'm on the clean side of the road. 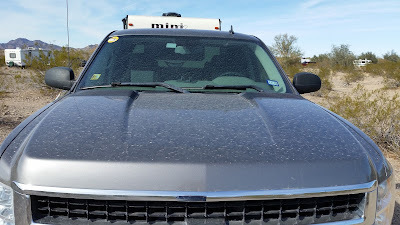 After a week out here I'm pretty satisfied with the Mini's solar setup and how it's working and powering my laptop, Dish receiver, all my electronics and the Mini's lights and water pump. I adjust the two sets of solar panels maybe two or three times a day to keep them angled to the sun but that's not really a big deal. An optimist's sign along Old Yuma Road.